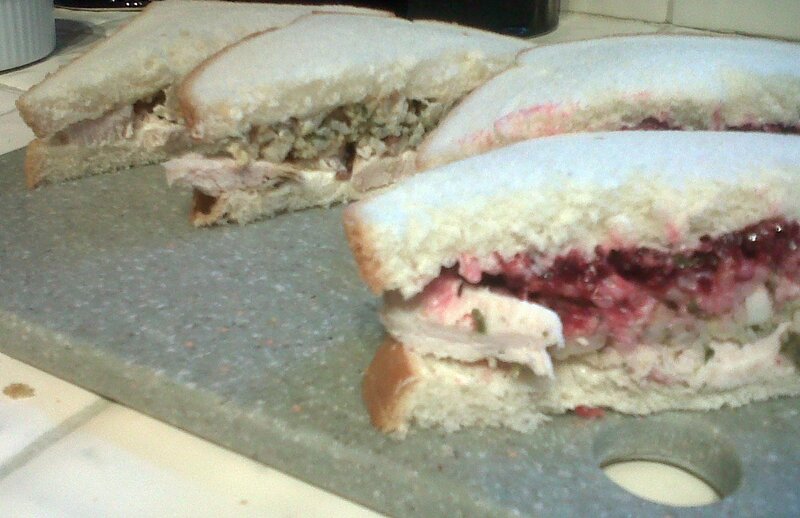 No doubt there are millions of left over turkey sandwiches being made today. Even though the world doesn't need another blog about a turkey sandwich, I write this post as a tribute to tradition. We love our day after sandwiches so much that we roast an extra turkey to be sure there is plenty left over. I don't want to be the one stuck with scraping meat crumbs off the carcass trying to assemble one last sandwich to satisfy an addiction. I want nice full slices of white breast meat. And yes, I need this sandwich like a turbo shopper needs black Friday. While the shoppers scramble for deals, I sit comfortably on my couch eating the perfect sandwich. The sandwich I call "The Day After" is simple and pure. It's one sandwich that doesn't need to be molested by a foodie trying to jazz it up. Don't screw with it. Just enjoy it for what it is. I do like a new spin on an old classic, and I will do that for this sandwich someday, but NOT today. Today is about embracing pure tradition. Left over cornbread dressing (the real reason we make "The Dressing". See post.) Get it to room temp. 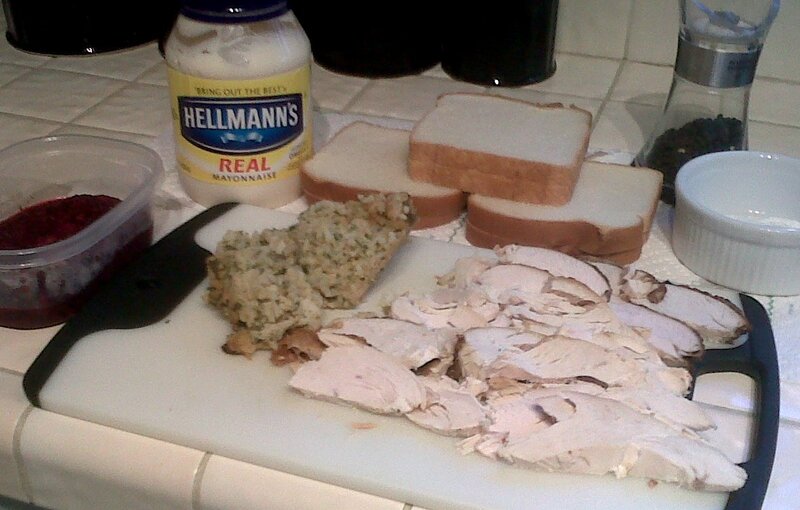 Spread a generous amount of mayo on both slices of bread. Put the sides together, cut in half, turn on The Food Network, and tell Guy Fieri to put that in his pipe and smoke it.